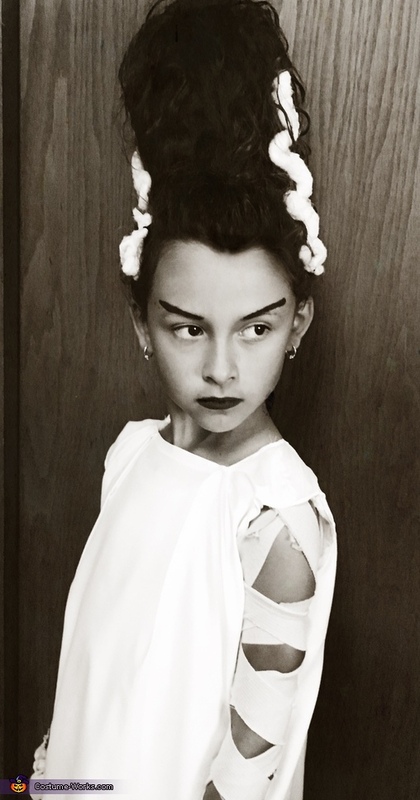 My 7 year old daughter Khloe is wearing a homemade Bride of Frankenstein costume I made her. Khloe hair is standing up with a 2 liter bottle and hair net. My brother Peter is wearing a Frankenstein mask and standing in stilts.